Pointfest, the annual music festival put on by local Saint Louis favorite 105.7 The Point, is back for another installment. This year’s version, the 35th installment since its inception in 1993, was a bit different. Instead of having a show in the spring and one in the fall, or just one show a year, they did a back to back weekend, something they haven’t done since Pointfest 7 and 8 back in 1997. 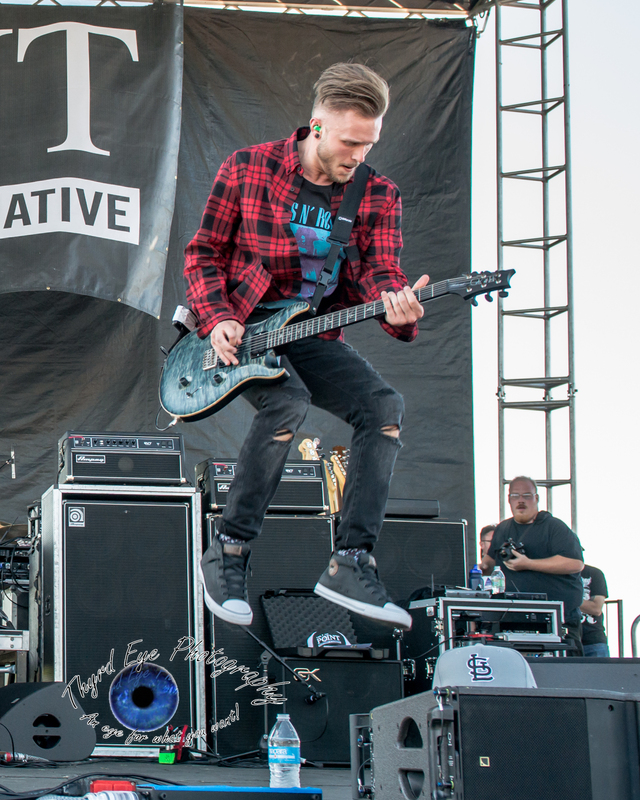 Since the station has instituted a successful Way-Back Pointfest last year – that is returning this year (September 10), the station wanted to shake it up a bit. That is one of the things that keeps Pointfest interesting; it is rarely the same old same old. The first day fell this past Saturday and boy did the weather cooperate, mid 70’s and clear everything seemed to be setting up for aperfect day. Then came news that the headliner, Korn, had to cancel due to lead singer Jonathan Davis’ throat issues. This certainly wasn’t the first time a band had to cancel due to an illness and the crowd seemed to take it in stride. The headliner then became Breaking Benjamin and they played an extended set to compensate for Korn’s absence. 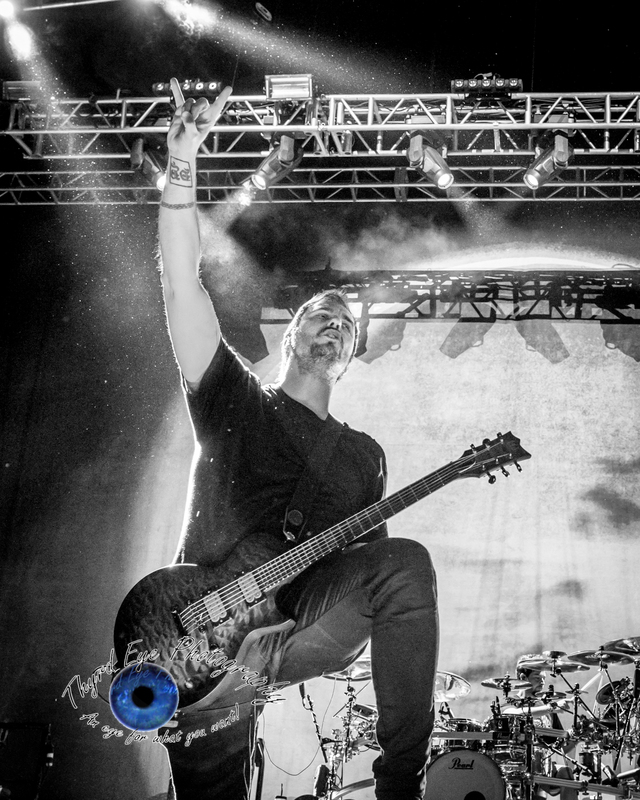 Breaking Benjamin’s lead singer Benjamin Burnley played down the cancellation saying that Breaking Benjamin wouldn’t be here if it weren’t for Korn, and promptly showed off his Korn tattoo to a cheering crowd. Burnley then said “there will be Korn music played” and the band broke into “Blind” much to the crowd approval. Burnley, let his guitarist Keith Wallen and bassist Aaron Bruch sing many of the songs. I am not sure if it was to rest his vocals, which sounded a bit rough at times, but like a trooper he continued on. The set was tight and Burnley (along with lead guitarist Jasen Rauch and drummer Shaun Foist and the rest of the band ) easily flew through fan favorites such as “Polyamorous” and “Sooner or Later” as well as their standard medley of covers. 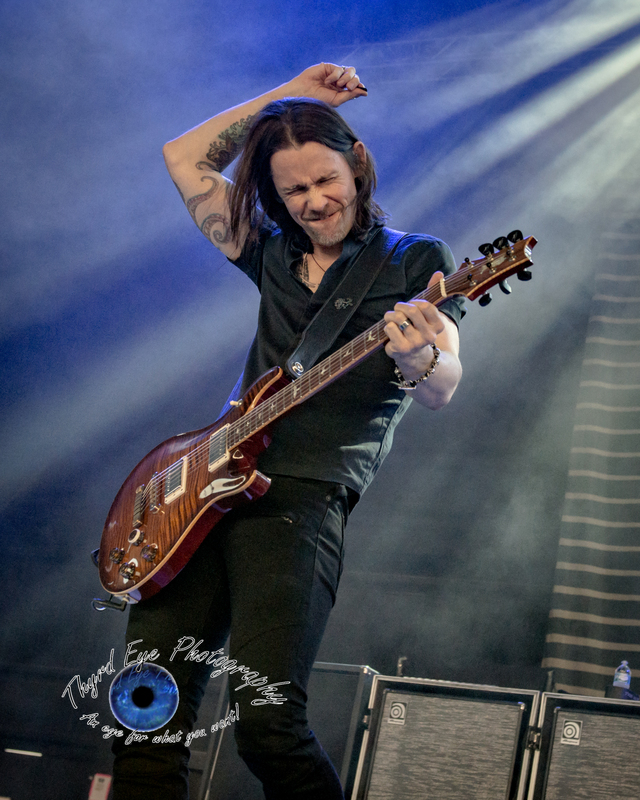 Alter Bridge had perhaps the liveliest performance of the day on the main stage with a raucous performance. 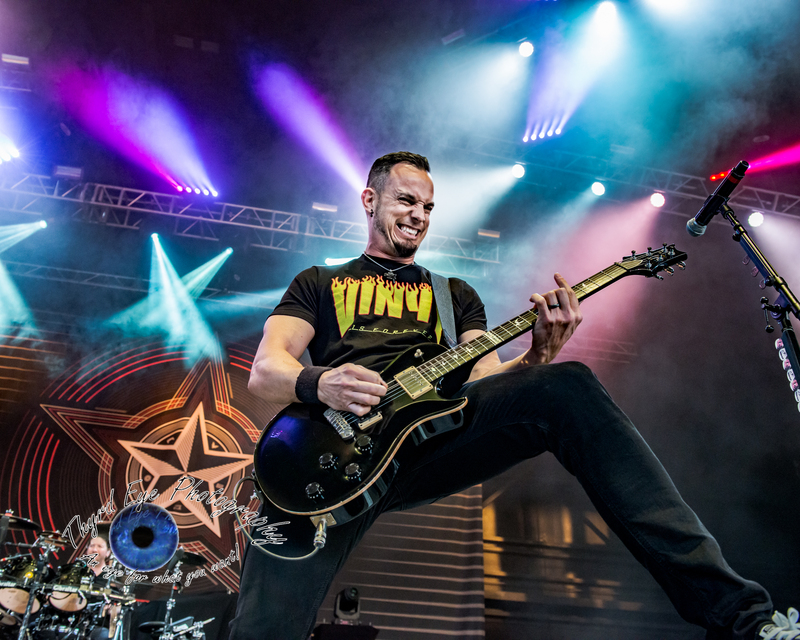 The band (lead singer/guitarist Myles Kennedy, guitarist Mark Tremonti, bassist Brian Marshall and drummer Scott Phillips) were on top of their game. Performing a tight 10 song set that rocked the house the highlights were many, but the dueling guitar solos between Tremonti and Kennedy was sweet. 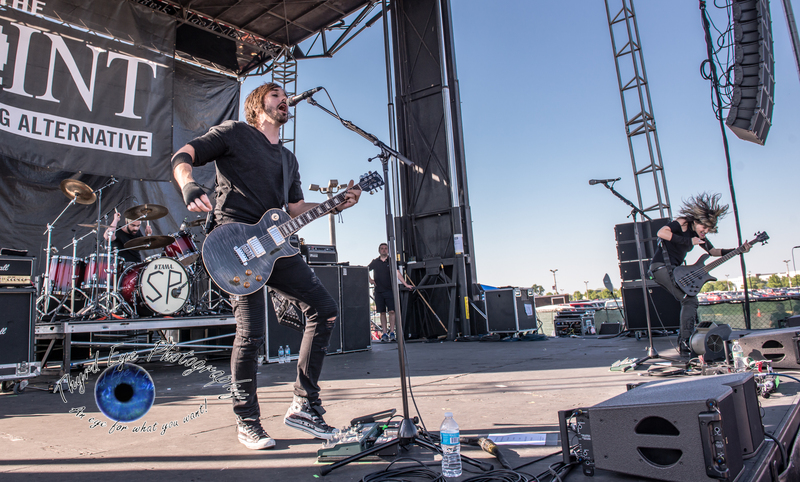 The highlight of the side stage was Sick Puppies, who always seem to put on an electrifying performance. 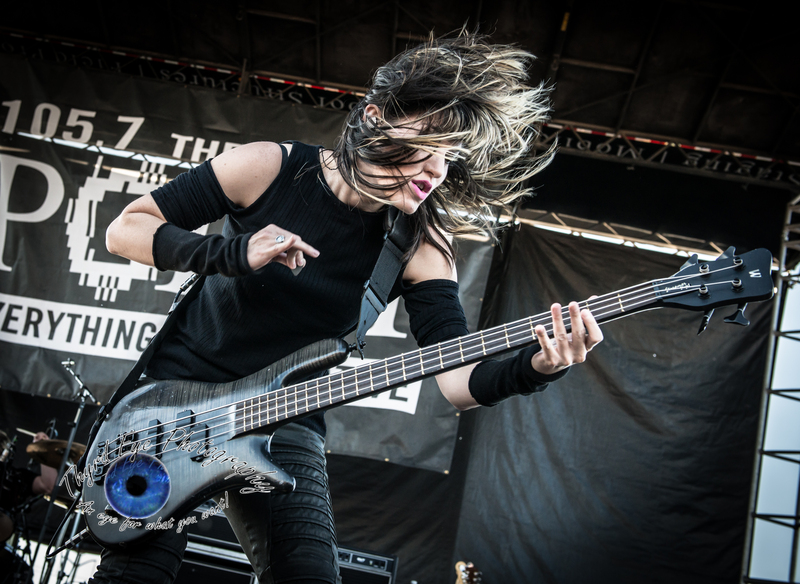 With bassist Emma Anzai leading the way with her spirited performance (more energy that I could muster, that is for sure), she certainly gives fans their money’s worth. Vocalist Bryan Scott was spot on and drummer Mark Goodwin solid in his performance. It was a shame the band only got 30 minutes as they always seem to be a crowd favorite. Another band that jumped out was Discrepancies, a Saint Louis band with a rap/metal sound. They caught the attention of the crowd with their lively performance and crowd interaction. I can’t wait to see more from this band. Day 2 is this Saturday, May 20 and tickets are still available. Soundgarden will headline a great list of acts that will also include Stone Sour, Pierce the Veil and local Favorites Greek Fire, who may or may not be playing some new music. But you gotta go see it live to know for sure. 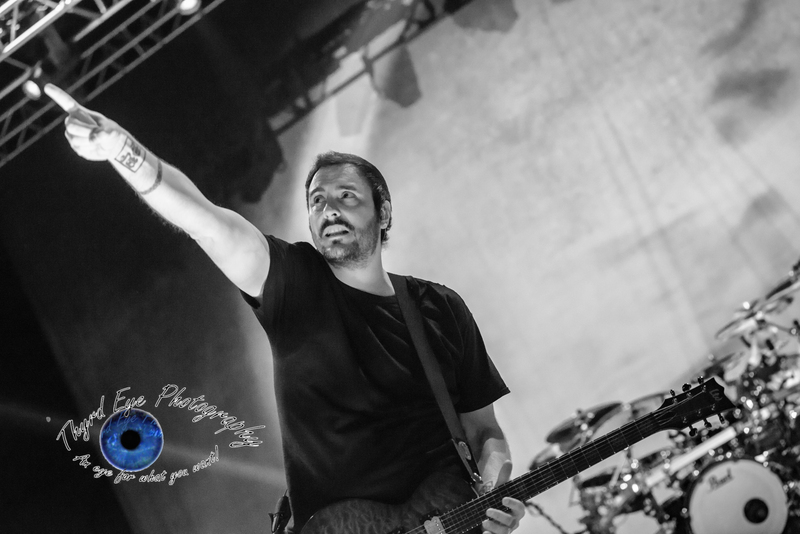 See you there and stick around for the full photo gallery after the setlists.